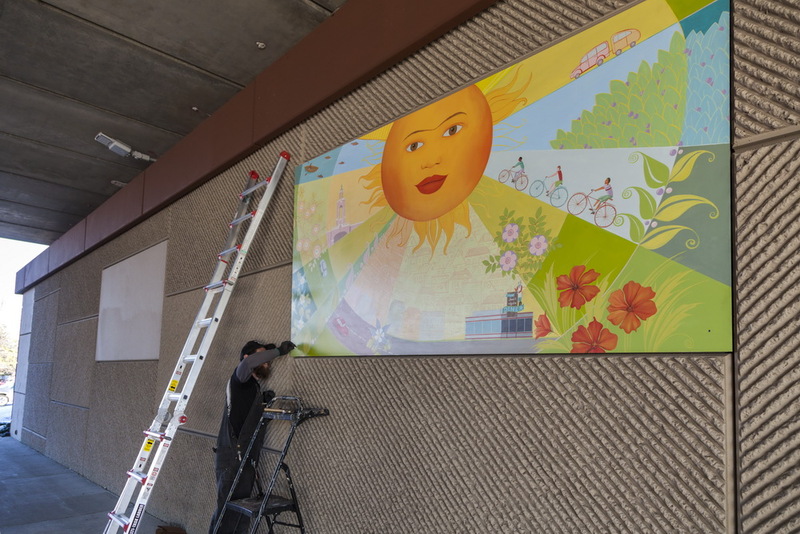 The installation of the “Fall” panel. 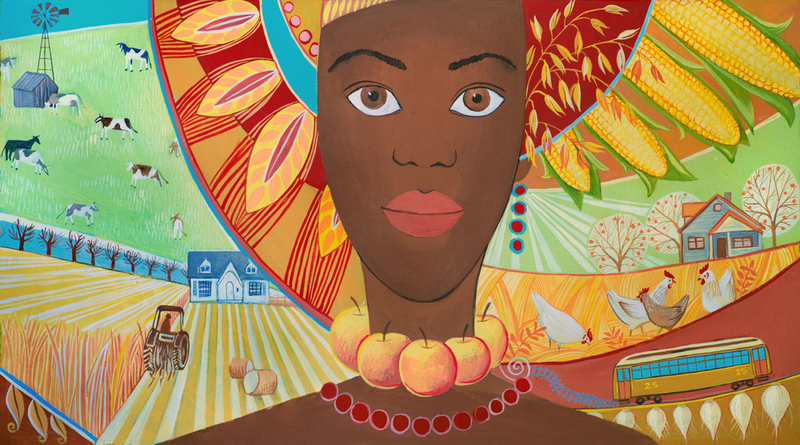 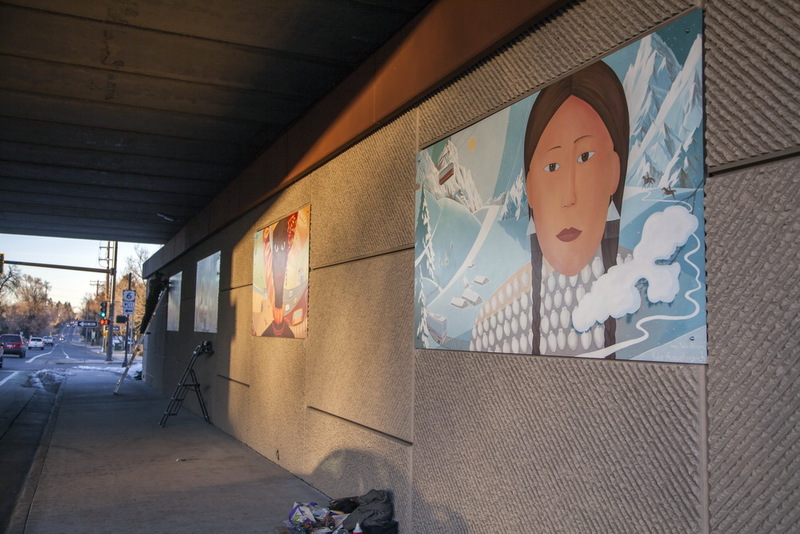 The mural project “The Four Graces” was created during November – December 2016. 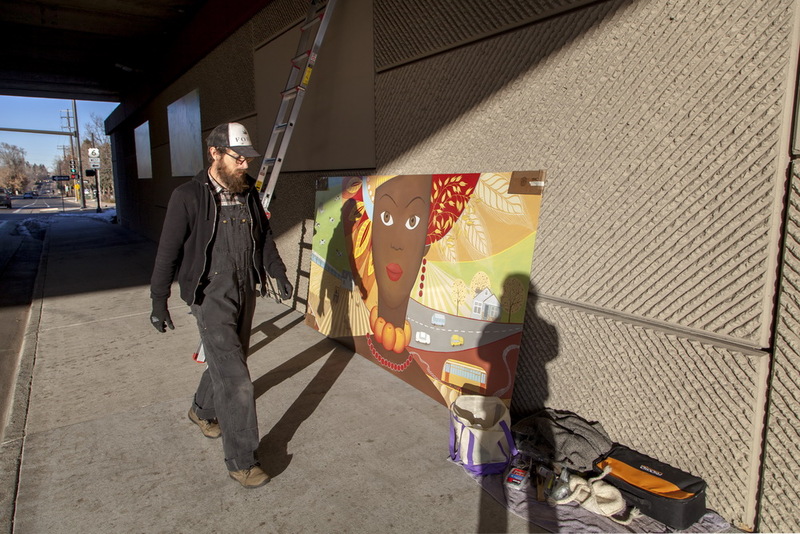 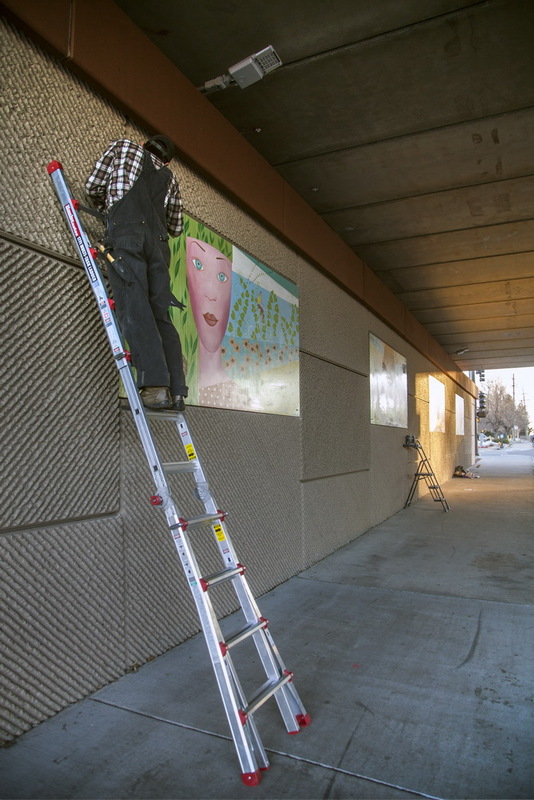 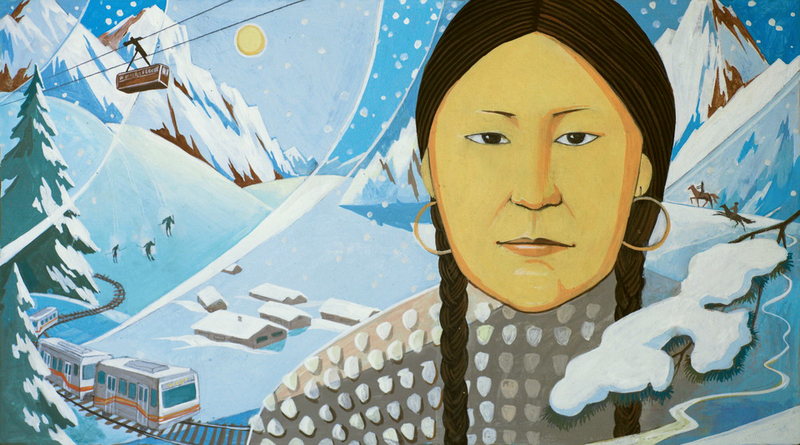 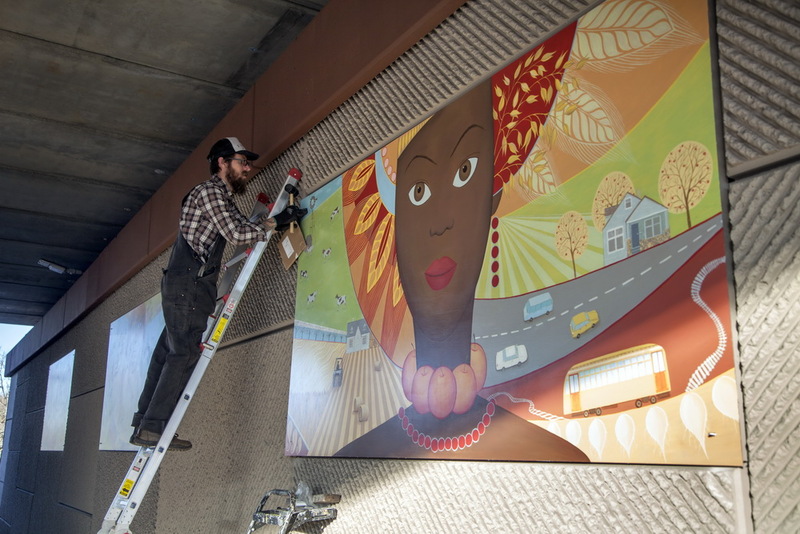 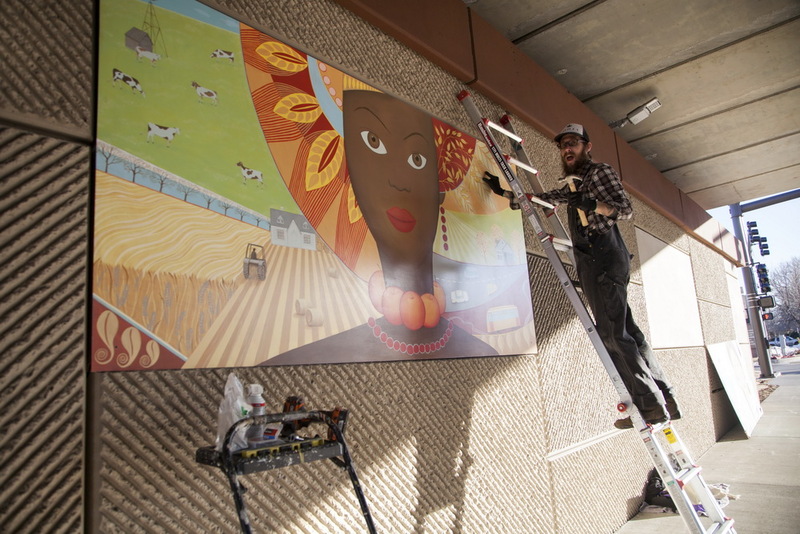 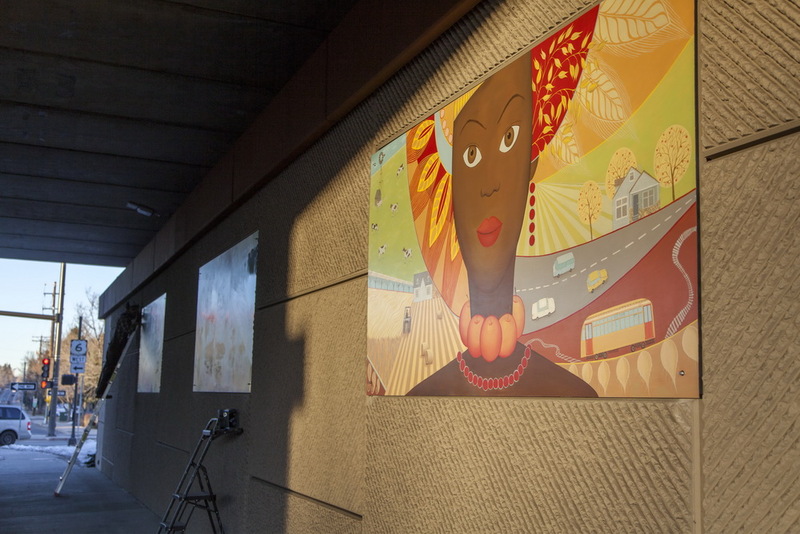 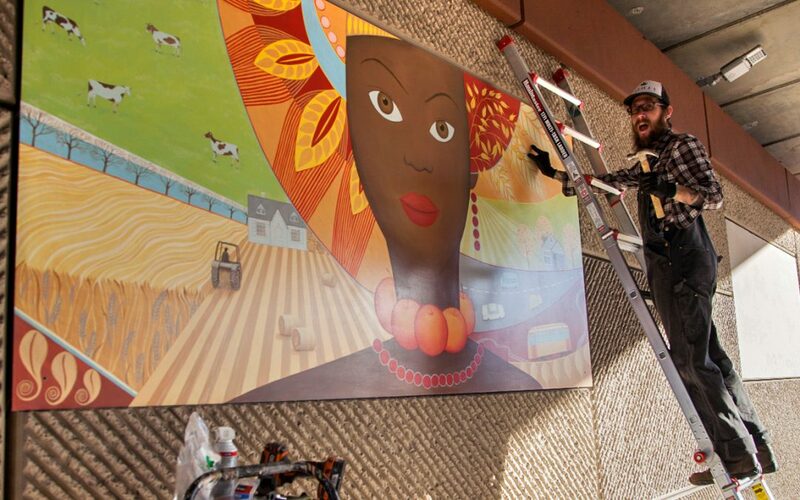 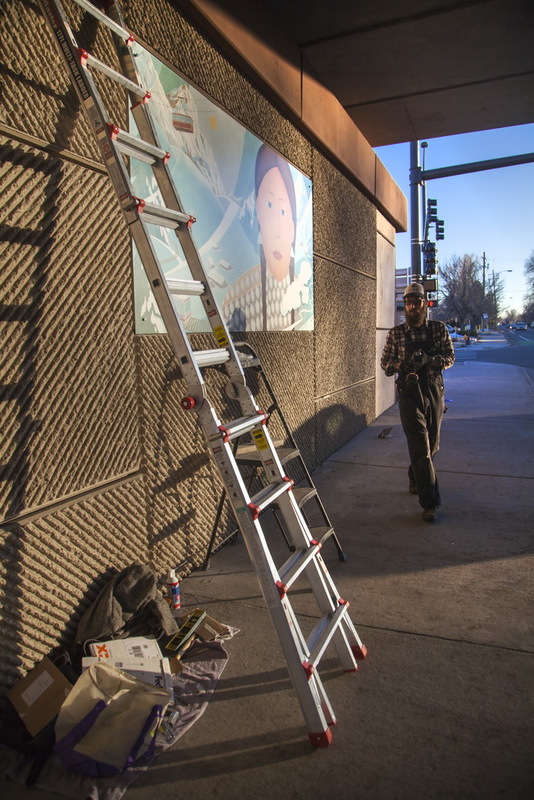 The pictures were painted on panels and installed on the wall of the underpass of Highway Six and Garrison street. 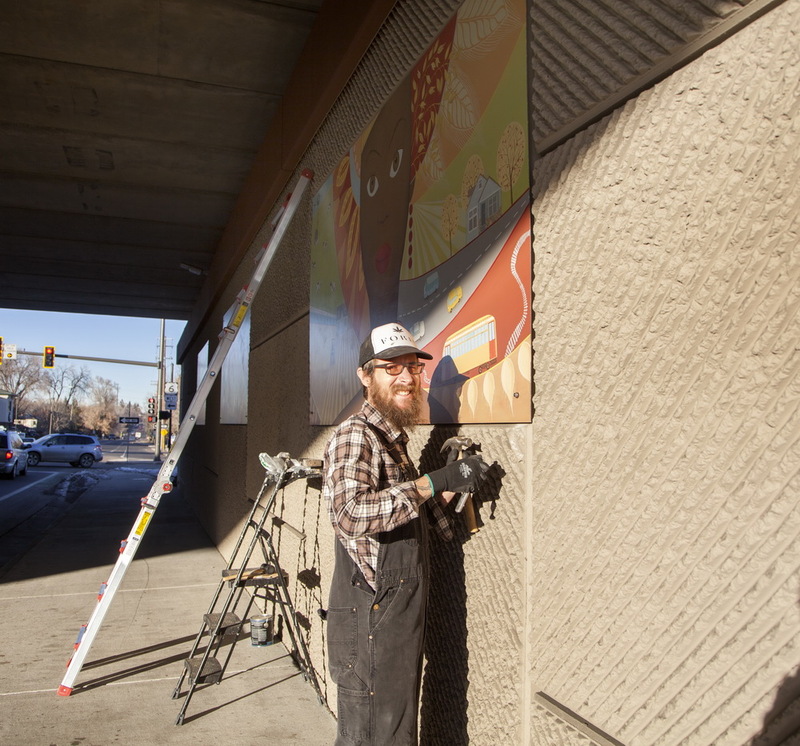 The fall season is representing the agricultural past of Lakewood. 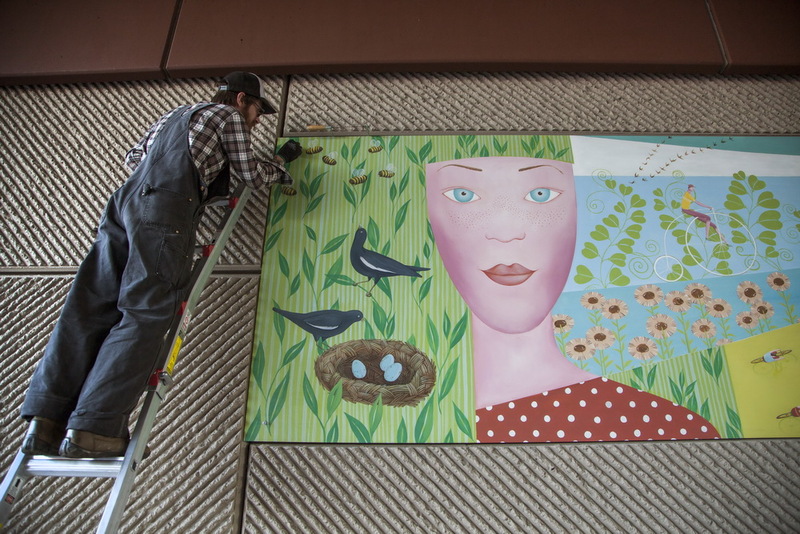 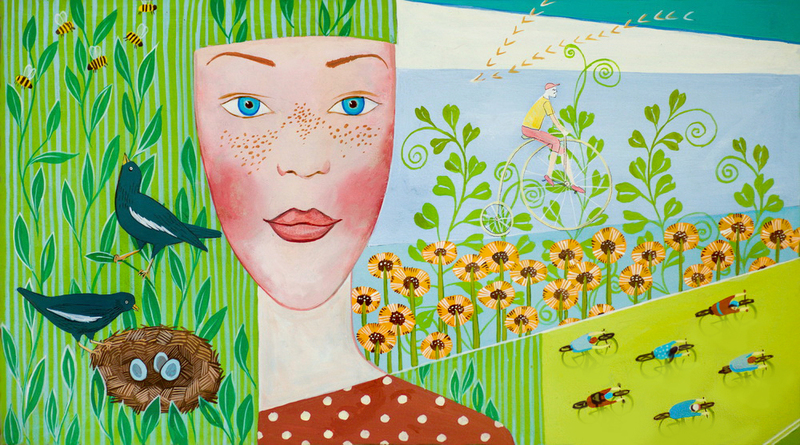 The installation of the “Spring” panel. 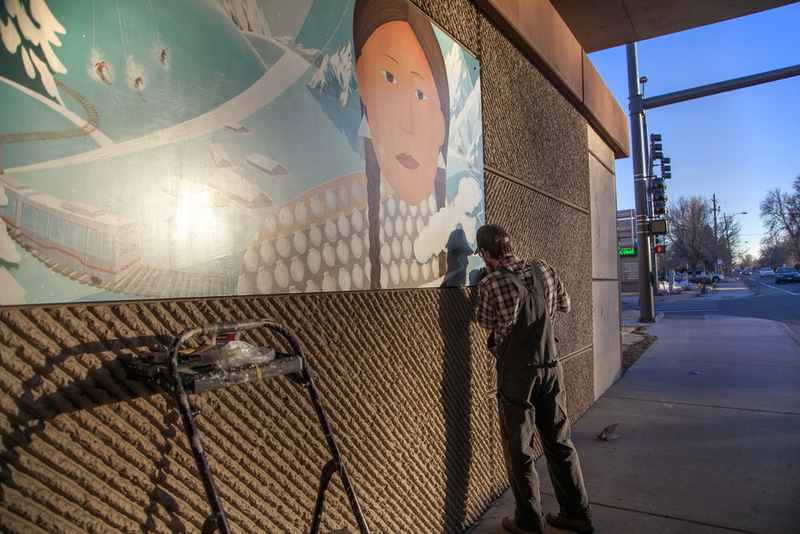 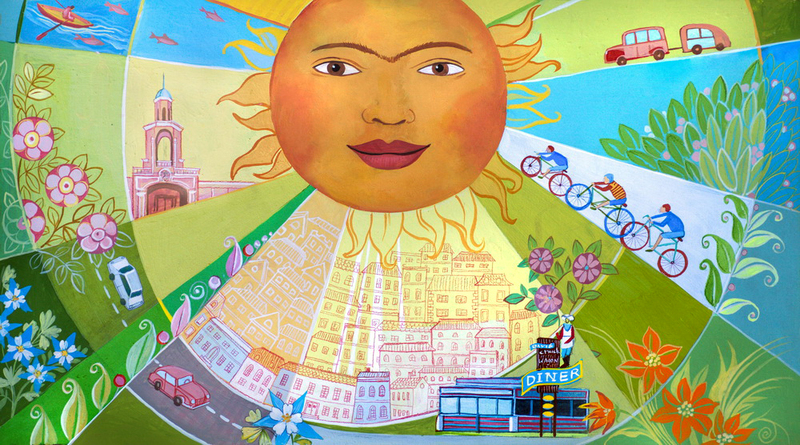 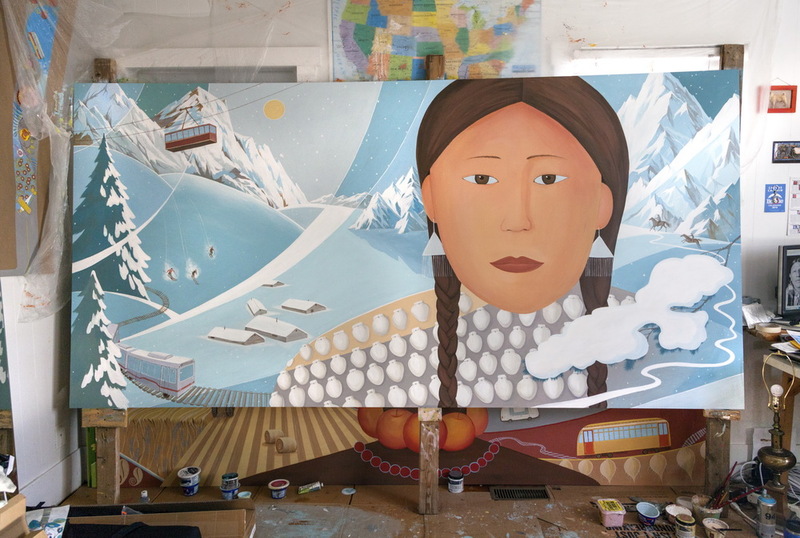 The panels for the murals were made from Aluminum Composite Sheets that are usually used in the advertising field. 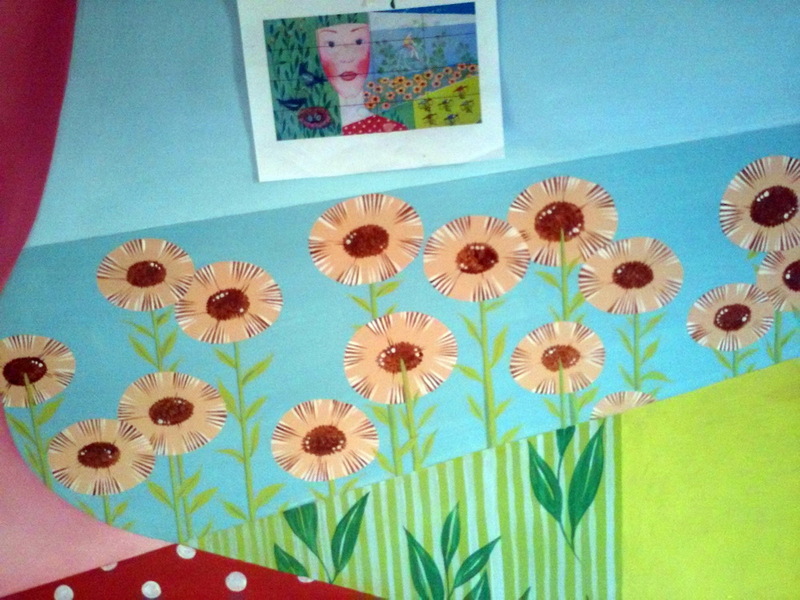 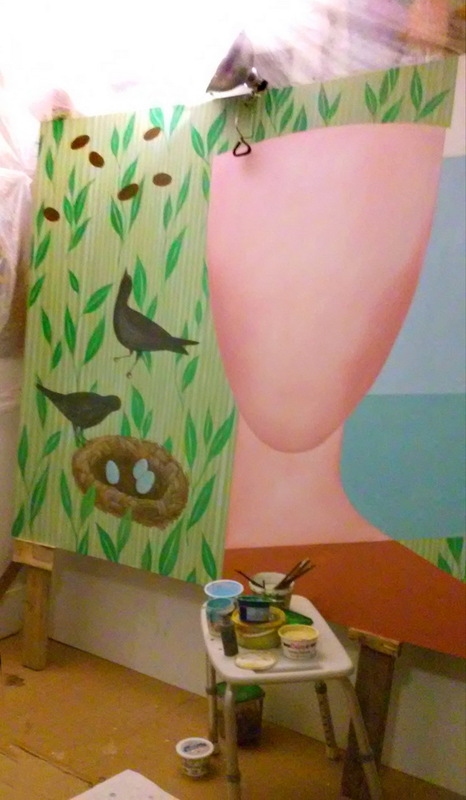 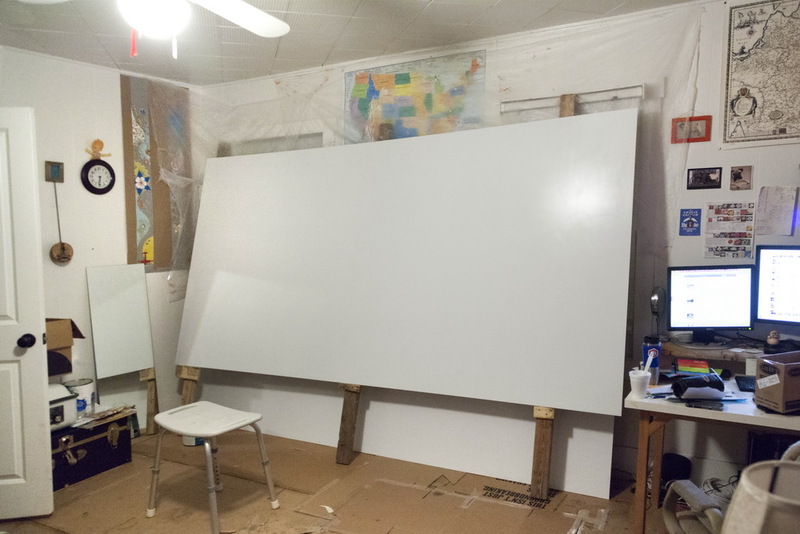 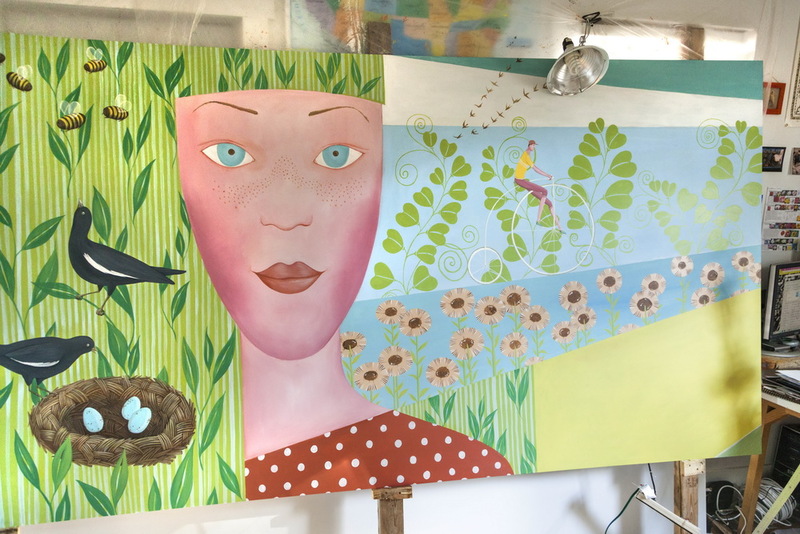 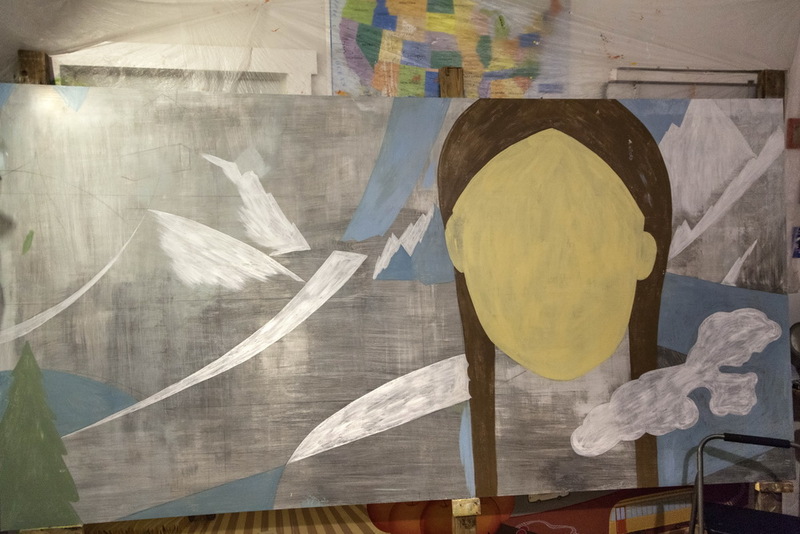 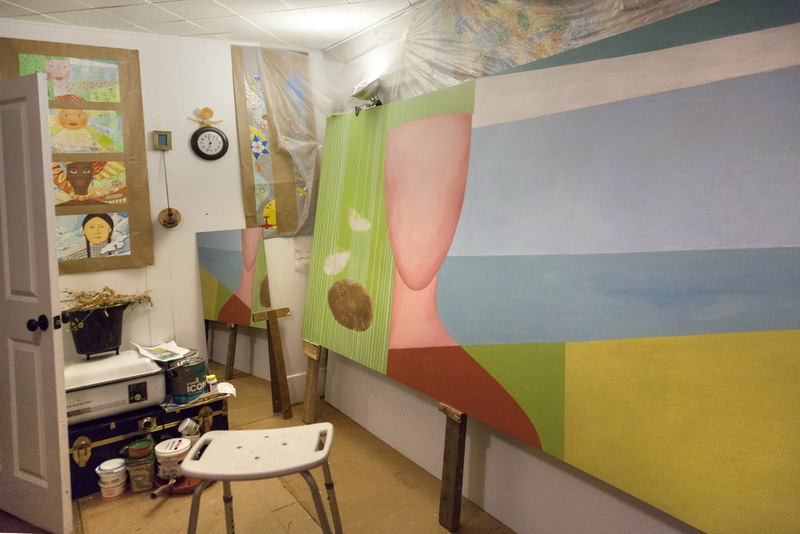 The size of each panel was 10′ by 5′ so I had the pleasure to paint them in my home studio. 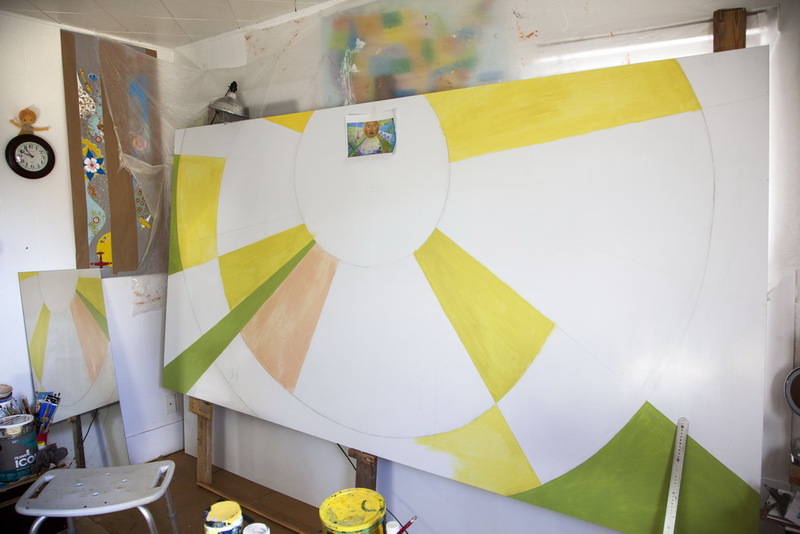 The process of painting the “Summer” panel. 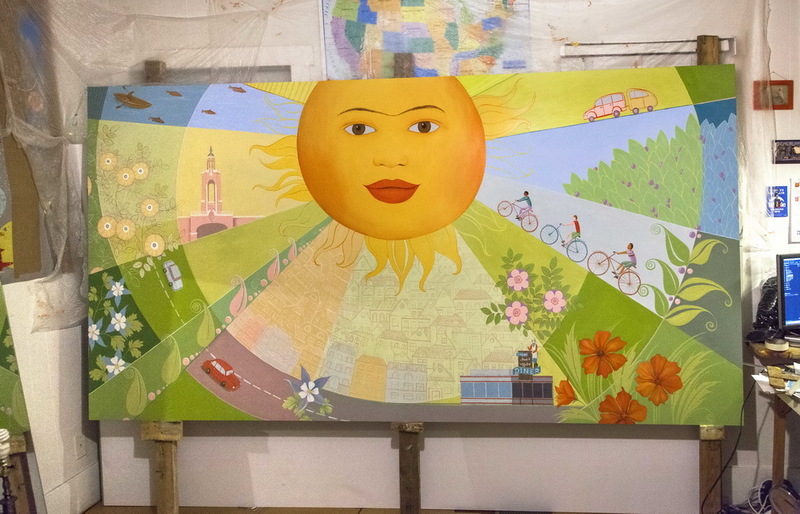 The creation of the “Spring” panel. 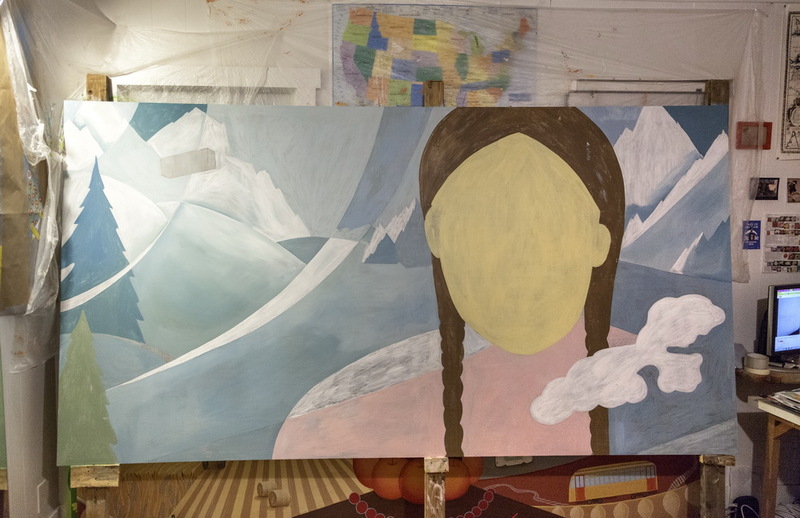 The “Winter” panel, the process of creation. 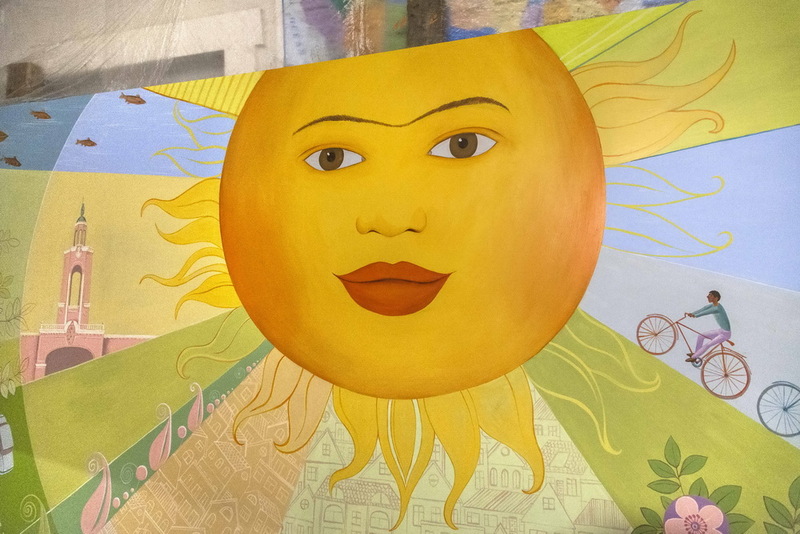 The first designs for the mural project. 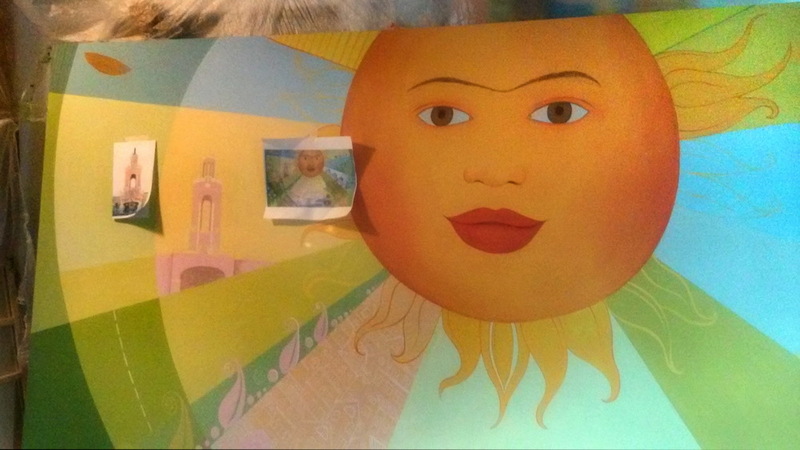 The second and final designs for the mural.